We are delighted to welcome you on our website. We take protecting your privacy very seriously when collecting, processing and using your personal data in accordance with the legal data protection regulations as set out by the GDPR, and want you to not only feel comfortable, but also safe. Data collection on our website? Your data will be collected by you sharing it with us (e.g. on the phone, in writing, verbally or through use of our contact form). For example, this may include data which you transmit to us when signing up to our newsletter, booking a hotel, an accommodation package, a guided tour, or when making a purchase in our online shop. We use the data which you share with us solely for the purpose of fulfilling and processing your request, booking or order, unless you have granted separate permission. To this end, and only where necessary, your data will be forwarded to other enterprises or service providers (e.g. to the hotel, restaurant or other partners). The extent of data sharing is limited to the necessary minimum. The enterprises may only use the data for the stated purpose. There will be no further sharing or sale of the personal data. Upon completion of an overnight stay, we will send you a one-off e-mail asking you to review the service. The review is to assure the quality of our services. Please let us know should you not have received the aforementioned e-mail. 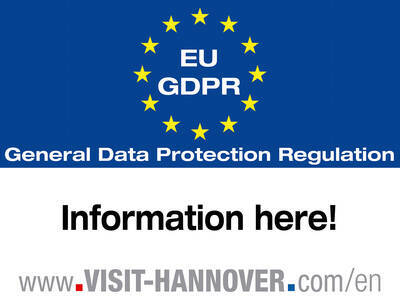 Use of the Internet pages of Hannover Marketing & Tourismus GmbH is generally possible without the disclosure of any personal data. If you wish to use special services of our company or our partners via our website, such as ordering brochures or booking accommodation, personal data must be processed. This is done by embedding components of third parties, so-called iframes. 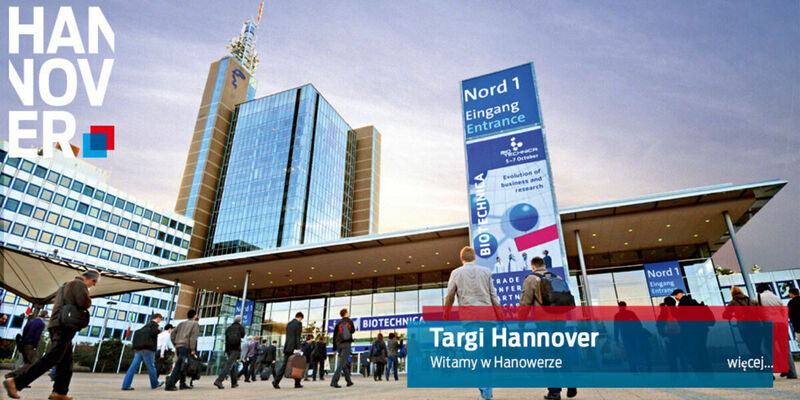 Processing then does not take place on the servers of Hannover Marketing & Tourismus GmbH, but by third parties. Each iframe is preceded by a reference to the data protection declaration of the party responsible. In detail, this concerns the following areas or services. 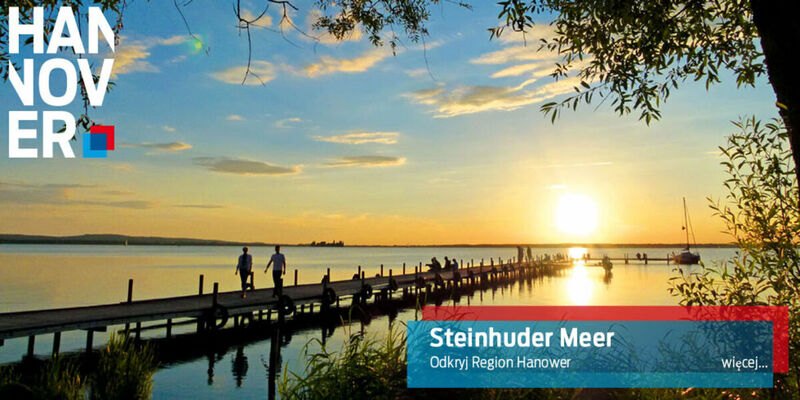 The client for the components is Hannover Marketing & Tourismus GbmH, Managing Director Hans Christian Nolte, Vahrenwalder Str. 7, 30165 Hannover. When the components are called up, the provider is informed that someone has visited the corresponding page of our website. The data that are absolutely necessary for delivery or order processing are passed on to third party service providers. As soon as the storage of your data is no longer necessary or legally required, it will be deleted. 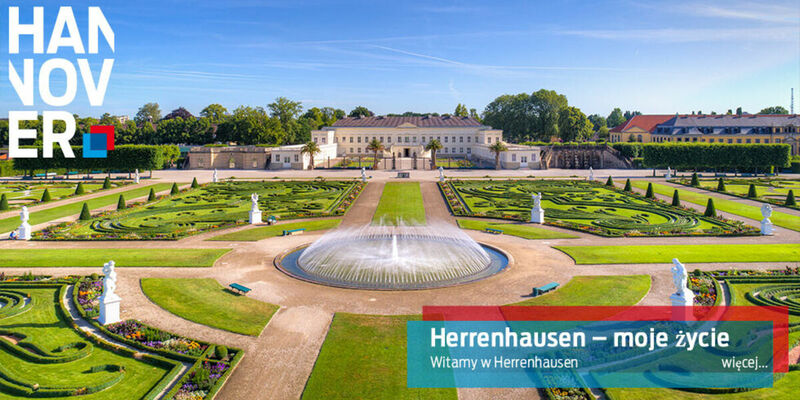 We do not use plugins or buttons from social media or video portals on the pages of Hannover Marketing & Tourismus GmbH. However, as embedded contents of third parties (iframes) may contain them, the corresponding data protection regulations follow here. Iframes on this website may include plugins for the social network Facebook, Facebook Inc., 1 Hacker Way, Menlo Park, California 94025, USA. The Facebook plugins can be recognized by the Facebook logo or the Like button on our site. For an overview of Facebook plugins, see https://developers.facebook.com/docs/plugins/. Iframes on this website may use Google+ functions. It is operated by Google Inc., 1600 Amphitheatre Parkway, Mountain View, CA 94043, USA. Iframes on this website may contain functions of the Instagram service. These functions are offered by Instagram Inc., 1601 Willow Road, Menlo Park, CA 94025, USA. Iframes on this website may use the buttons of the Tumblr service. It is operated by Tumblr, Inc., 35 East 21st St., 10th Floor, New York, NY 10010, USA. Iframes on this website may use functions from the LinkedIn network. The service is provided by LinkedIn Corporation, 2029 Stierlin Court, Mountain View, CA 94043, USA. Iframes on this website may use features provided by the XING network. The provider is XING AG, Dammtorstraße 29-32, 20354 Hamburg, Germany. Iframes on this website may contain functions of the Pinterest social network, operated by Pinterest Inc., 635 High Street, Palo Alto, CA, 94301, USA. Iframes on this website may use plugins from YouTube, which is operated by Google. The operator of the pages is YouTube LLC, 901 Cherry Ave., San Bruno, CA 94066, USA. Iframes on this website may use features provided by the Vimeo video portal. This service is provided by Vimeo Inc., 555 West 18th Street, New York, New York 10011, USA. Our contractual partner MADSACK Medien Hannover GmbH & Co. KG uses the following tools to place advertisements on our website. The application is based on Art. 6 para. 1 lit. f DSGVO. The website operator has a legitimate interest in anonymised analysis of user behaviour in order to optimise both his website and his advertising. What data does nugg.ad record and process? nugg.ad achieves this by using general information based on your internet use. To do this nugg.ad’s technology monitors the usage pattern of internet users by storing a cookie in the browser of your user device with a lifespan of 26 weeks: this means the number of website hits in various subject areas is counted. nugg.ad stores aggregated information about usage patterns with a hashed ID in the nugg.ad system. In other words the specific internet addresses you have visited are not recorded, but nugg.ad stores the frequency of use for various subject areas based on web pages accessed in a cookie. This general information about your internet use can be used by nugg.ad’s technology comprehensively across websites. Sensitive areas such as religion, health or sexuality are not monitored. Furthermore no other data is recorded. In particular nugg.ad never stores information relating to your name, postal address, email or IP address. Nugg.ad uses data protection-friendly technology and a sophisticated anonymisation system, which means that it has no way of finding out who the user viewing a particular page actually is. 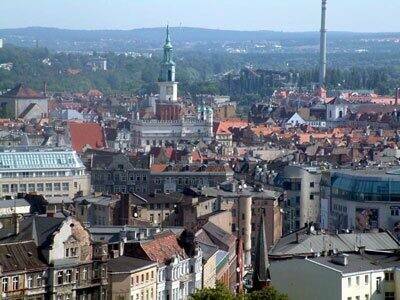 Data is never passed on to third parties, such as to the local authorities or other companies. nugg.ad identifies relevant target groups for advertising, according to socio-demographic criteria and product interests. Nugg.ad makes use of statistical patterns only, which are created by the behaviour of users towards online advertising and editorial content published on websites. To ensure that you are not constantly bombarded with the same advertisements or even feel that they are too intrusive, nugg.ad counts how frequently you are shown an advert in various campaigns. Once you reach a certain level of exposure, you will not be shown any more adverts from that campaign. It is not possible for nugg.ad to trace any information in the cookies back to individual users. In particular nugg.ad cannot identify a person by name, address or any other data that is directly identifying. However, of course you have the option of refusing to accept cookies by choosing the relevant setting in your browser, or simply deleting them. If you are interested in having advertising even more relevant to your interests displayed on web pages, then you can select an Opt-In here to continue theme-based analysis of your usage habits. If you opt in, the cookie will also be stored on your device’s browser. It will be stored for 1 year. If previously collected nugg.ad cookies are present in the browser of your device, by setting the Opt-In cookie the following will happen: With your permission the nugg.ad cookie lifespan is lengthened to 1 year (calculated from the moment the cookie is set). Information stored on nugg.ad cookies prior to Opting-In is retained and will be deleted upon the expiration of cookie (maximum 1 year). If you have any questions on the subject of privacy and data protection, you can contact nugg.ad at any time by sending an email to privacy@nugg.ad. You are also welcome to contact data protection officer, Christian Pfeiffer, directly (christian.pfeiffer@nugg.ad). We reserve the right to occasionally adapt this data protection declaration so that it always complies with current legal requirements or to implement changes to our services in the data protection declaration, for example when introducing new services. The new data protection declaration will then apply for your next visit.